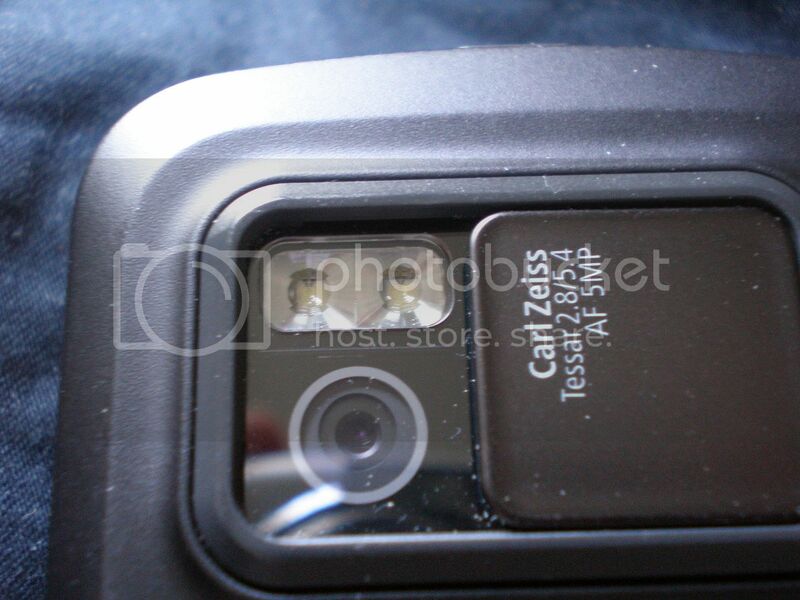 Is your N97 Camera Glass being marked by the Slide cover? *PICS OF DAMAGE ONLY* here! NokiaUsers.net is the premier Nokia Forum on the internet. Registered Users do not see the above ads. 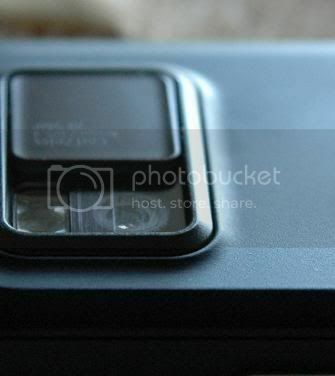 View Poll Results: Has your N97 Camera Glass been Scratched by the Protective Slider Cover? 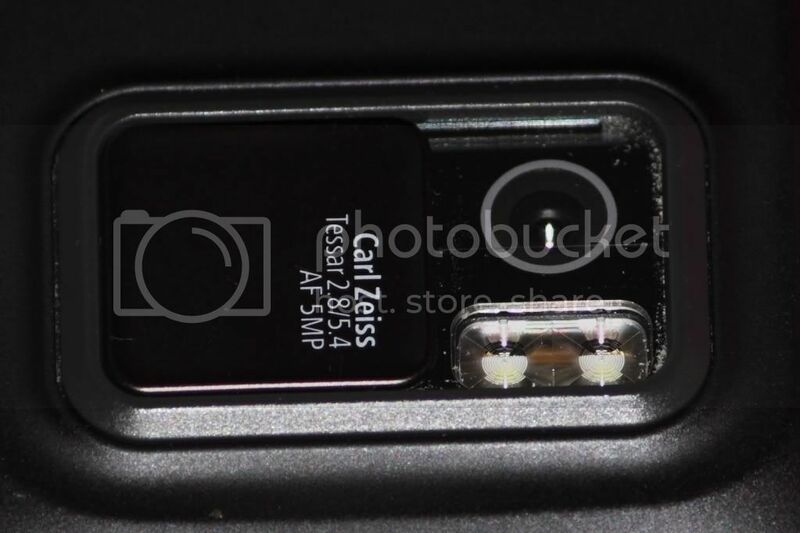 Thread: Is your N97 Camera Glass being marked by the Slide cover? *PICS OF DAMAGE ONLY* here! 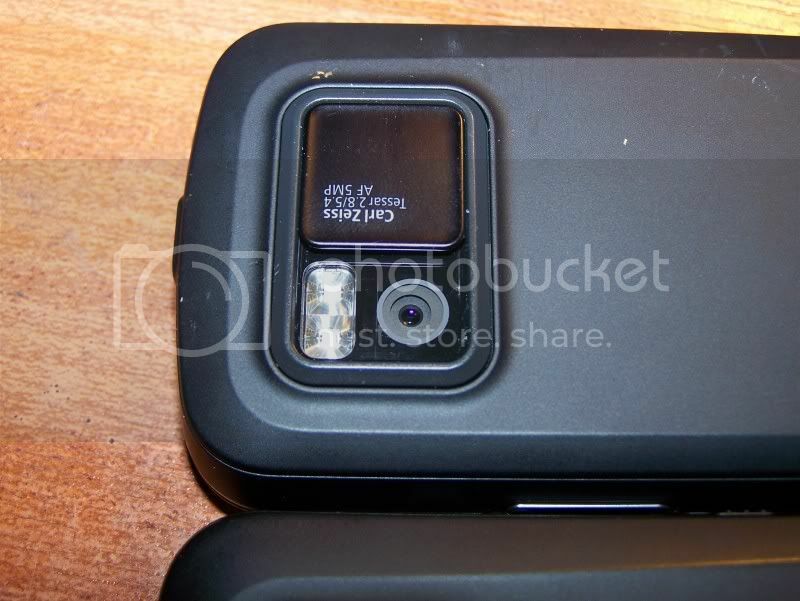 Simple Poll to get some figures together on this possible design flaw with the N97. Not sure what Im on about.? Then check link below..
Then post the IMG tags in this thread please. Also please state where your N97 was made. Lets keep this thread/Poll strictly limited to only votes and photos. If you wish to chat, and discuss the issues around this possible flaw, then keep your comments in the thread linked below please. For photos actually taken WITH your N97, please read this thread below, and post photos there please, NOT here. Last edited by Micky; 07-18-2009 at 06:24 AM. To find your Nokia Firmware version, key *#0000#. The V##.#.### shown is your current Firmware! Please add these details with Nokia model to your profile. This information will help others help you. Thank you.! Yes, and below is my photo..
Last edited by davecozens; 07-13-2009 at 05:08 PM. Hi, I´m maulim. 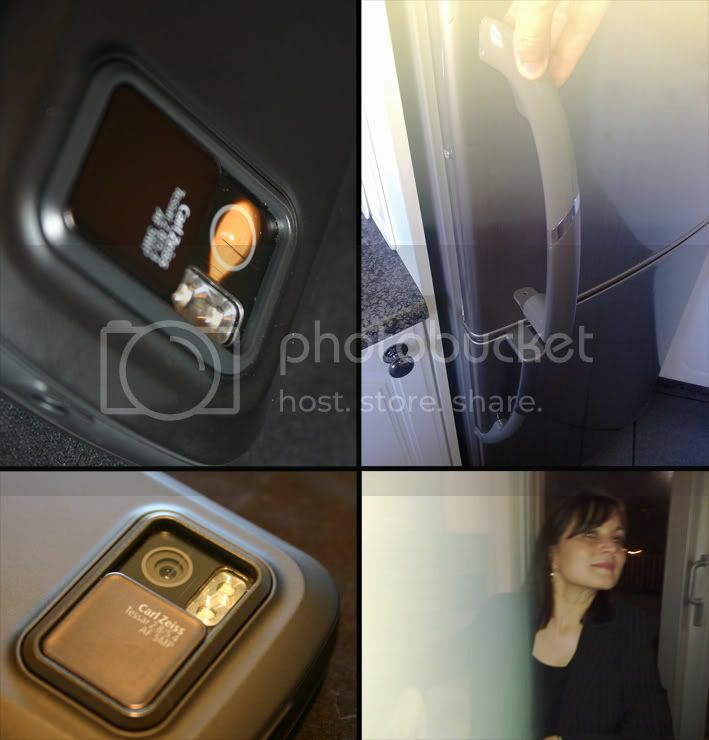 (My pic is the first at the post "Nokia N97 Self Harming? Check your N97's Main Camera Glass"
Just to add: My N97 is Made in China! Last edited by linco2016; 07-17-2009 at 07:50 PM. just a sugerence micky, maybe you could ask people to take a picture with the phone with and without the flash to see if the quality is indeed affected. I'd hate to see the condition of it in a years time. Nokia should either replace that blue foam part with microfibre or a fine brush, or leave a gap for dust to roam free, or replace the plastic lens surface with something much more durable such as high quality scratch proof polycorbonate sheet (used in quality reading glasses). I have moved a few posts from this thread to the thread below. Please keep to only posting your photos showing damage in this thread here. Also state where your N97 was made please. 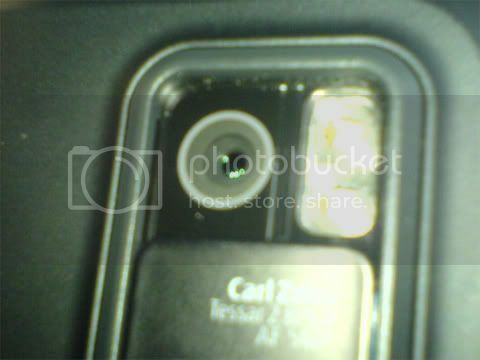 I will be putting together another thread soon for photos taken with the N97's with scratched lens covers. Last edited by Sp00k; 07-15-2009 at 10:55 PM. Last edited by ltomovski; 07-16-2009 at 11:39 AM. Last edited by jattsober; 07-21-2009 at 06:56 PM. Well done... You all talked your way into Credit crunch, Credit squeeze and a Credit crisis, fantasied about a resscion and now the possibility of another great depression?............ is it as good as you imagined it would be ? Looks like it's affected mine too... thankfully not over the lens itself yet, but I imagine it's a matter of time. 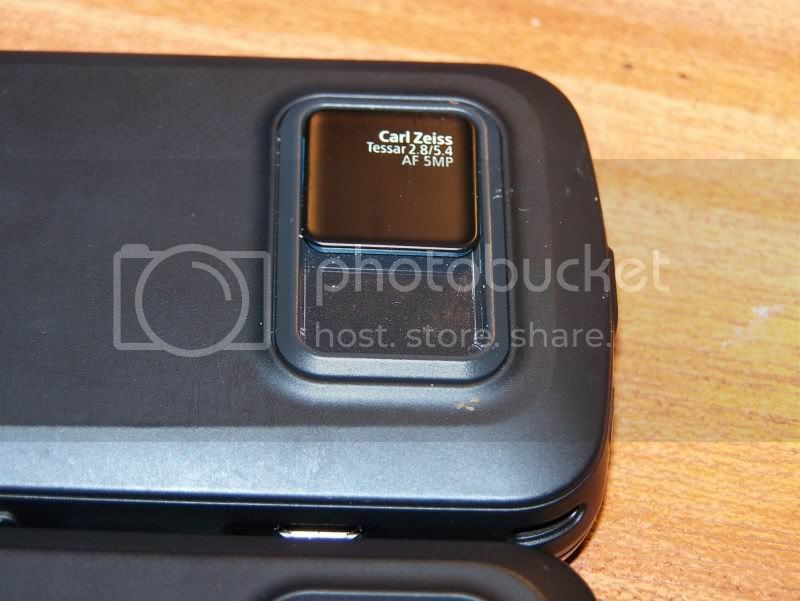 It's an N97-1 black made in Finland, bought in Yorkshire. Mines gained another find scratch. Another one from a reader of the front page. This is his replacement N97 after sending back his original because of this very reason. And a second readers photo..
Last edited by Micky; 07-20-2009 at 05:04 AM. Last edited by dani2xll; 07-21-2009 at 10:41 AM. History is a mirror of the past! And a lesson for the present! thats mine 2 days old.. and this is it the next day.. after taking one pic..
its now got one to the left of the camera, vodafone seem to be avoiding this on their forums. Last edited by Brooker; 07-23-2009 at 06:26 PM. and a photo of the image it produces with the flash on. definitely wasn't doing this before it scratched! Last edited by dan_n97; 07-21-2009 at 07:38 PM. Mine is getting worse each time I use my camera. Come on Nokia, are you seeing this? We know you are aware of this issue, but what are you going to do about it? These scratches seen above are quite deep too, you can actually feel them with your fingernail. Actually my phone is with nokia care center now so i cant post any pic but i have same problem. 3 scratches on the lens. left side of picture gets foggy with flash turned on. 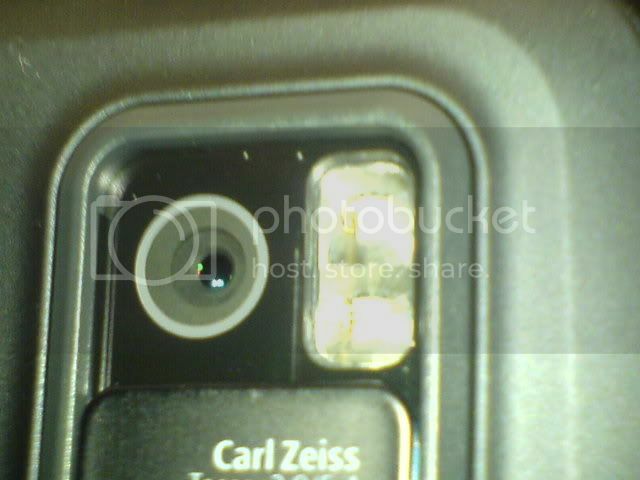 This is taken using the N97 in a mirror and as you can see it has not affected the camera but is well scratched at top and bottom runners and directly across the lens also many other smaller scratches that arnt really visable unless looking side on. seems I've joined the scratch club. took about 5 days to get one. and I've been extra double careful - what with knowing lots of people have suffered the same problem. For me this is a return for refund issue. 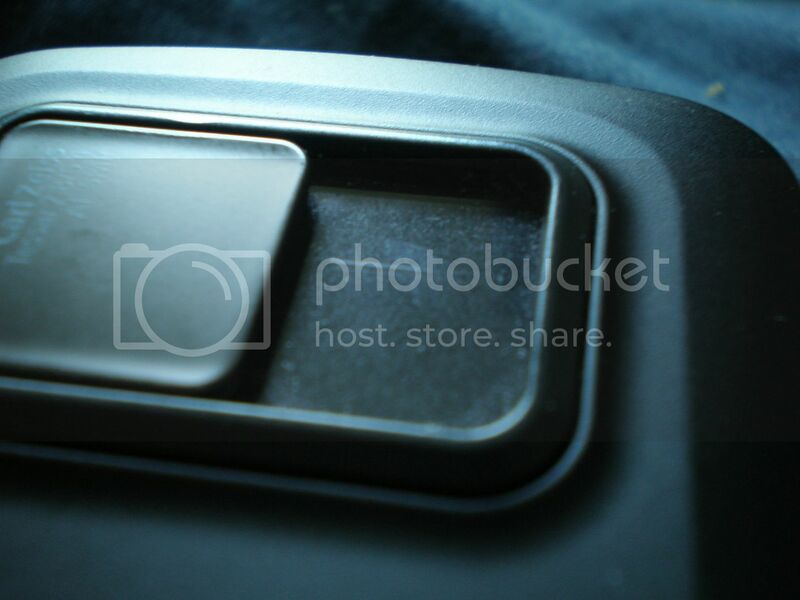 The decent camera is the no1 reason to have the N97 over other competitive smartphones. I've only one scratch at the moment pic here but give it a few weeks and it will be covered in them and will start to impact photo quality. 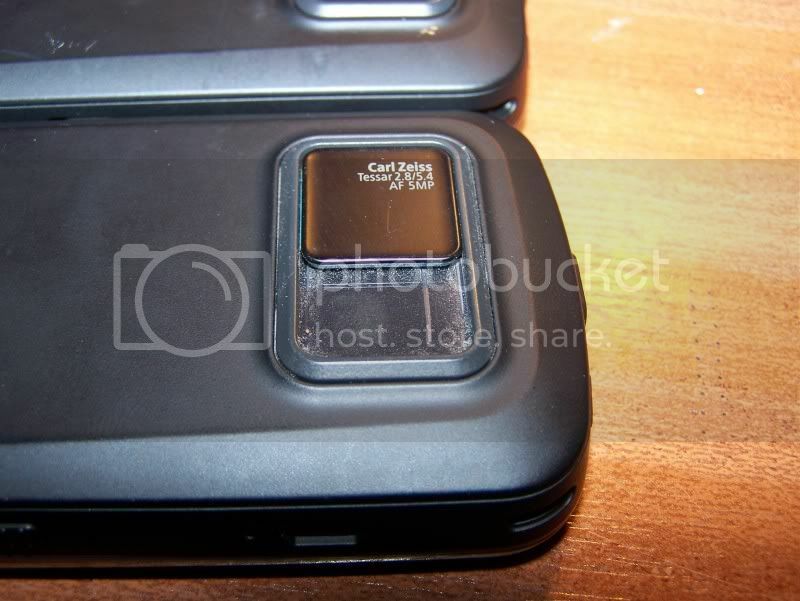 So unless theres a design mod to the hardware - no thanks nokia. here's mine after 3 weeks of use. made in finland. What phone case are you using? Can you link me please. last pic as its going to be going back soon, and vodafone are going to show it to nokia.. "our device management team are due to present these kind of issues with Nokia themselves and having a model with a genuine fault would be great evidence." Last edited by Brooker; 07-31-2009 at 05:27 PM. This is my third N97, this one was made in Finland. After one week use. Made in Finland. I have approved your post now "simcard". You may want to resize your image though. Im on my N97 right now, and have to scroll for ages to get from one end of the image to the other. I have a dreaded scratch. Taking pics at night with the flash is now not possible.....THIS AFTER 2 WEEKS OF USE! I'm not convinced the scratches are causing the white blur/haze in pics taken in low light with flash. I used a sharpie/permanent marker to black out a thin line on the LED flash between the flash and lens and now pics taken in low light are fine and without the white blur/hze on the left side. I already have a couple of scratches over the lens. 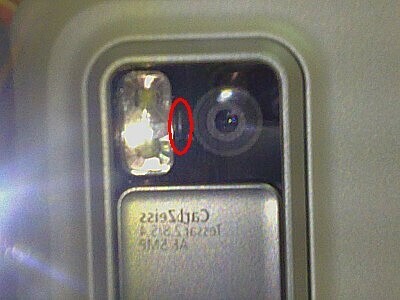 I've documented this in the Nokia N97 thread, 'N97 Camera Lens Scratched? 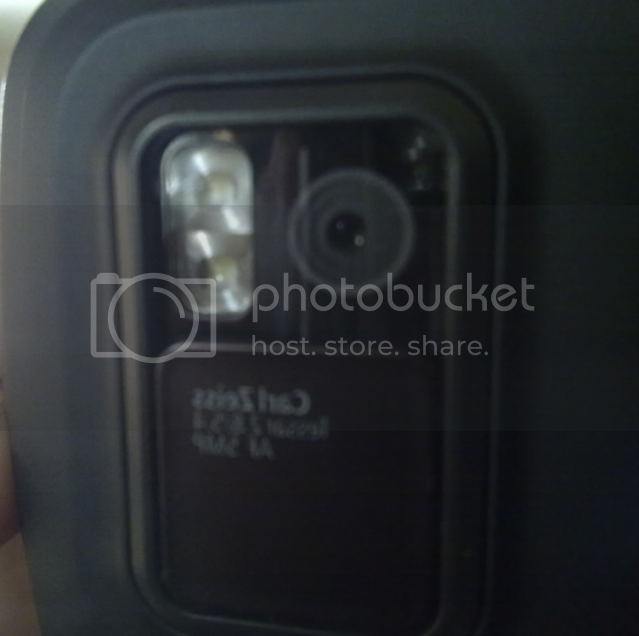 - Post your photos taken *WITH* your N97 here' but it is still awaiting moderator approval before being published. 2 big scratches, this one in the pic below and one right beside it on the flash (can't see the one on the flash due to reflection). PS sorry about the quality, I only had a brutal webcam in work with me. Yes mines also scratched and made in Finland..
Can the camera glass be polished to remove a scratch? By gmnokia in forum Its Broke! 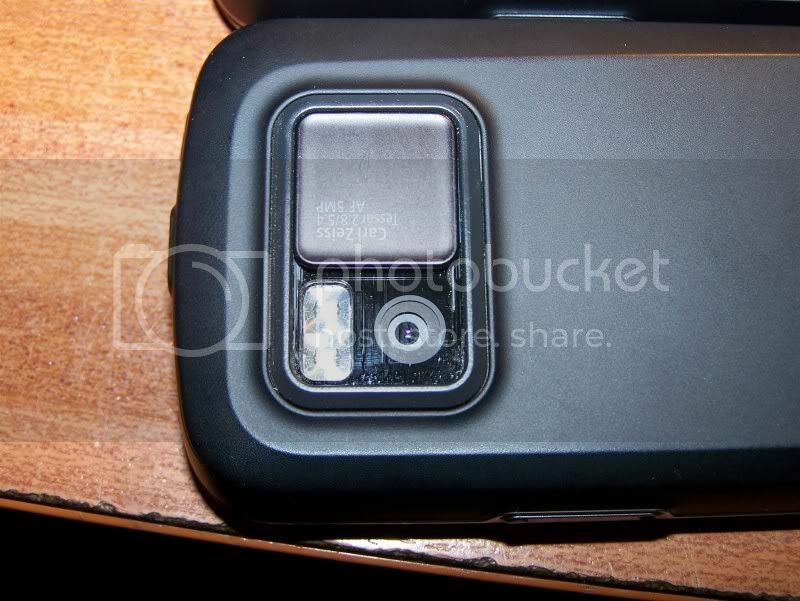 Is there a camera cover for n95 8gb ?